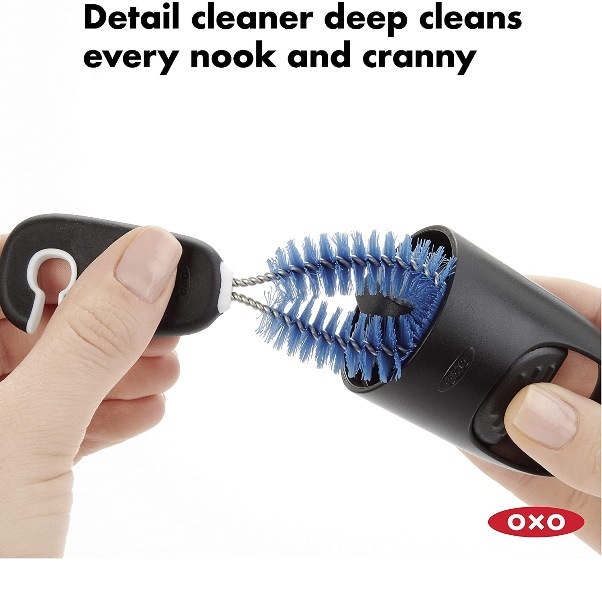 3 Piece Bottle Brush Set by OXO Good Grips includes 3 brushes with durable bristles and soft, non-slip handles. Set of 3 brushes with durable nylon bristles. 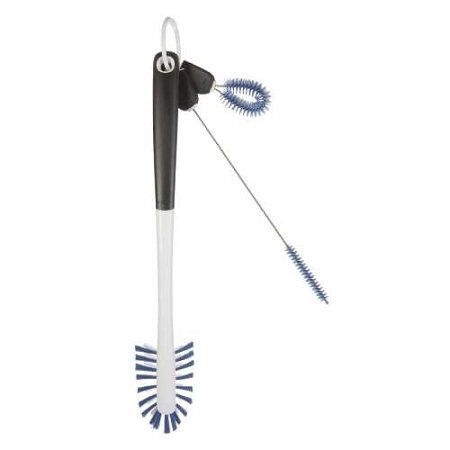 The 3 Piece Bottle Brush Set by OXO Good Grips includes 3 nylon brush tools designed to effectively clean variety of different size water bottles, sports bottles, travel mugs and drinking straws. People with arthritis will appreciate the soft, non-slip handles and durable brushes that help make cleaning water bottles easier. 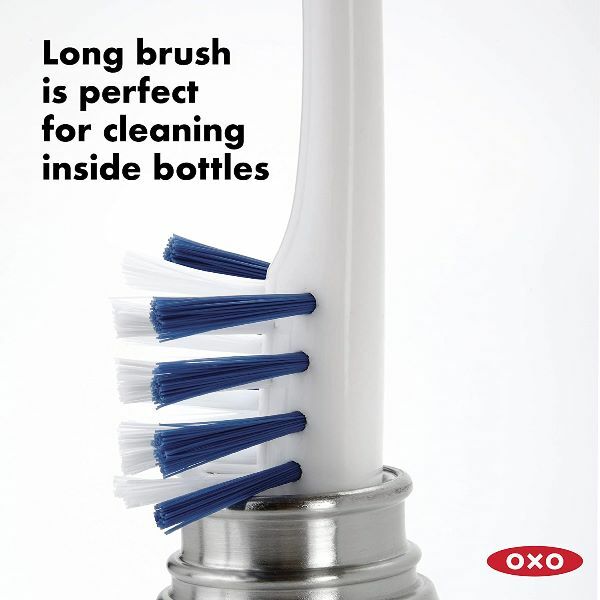 The Long Bottle Brush by OXO Good Grips has a 13 inch long handle that is designed to reach inside water bottles with narrow necks. The soft side bristles effectively clean the inside of the bottle without scratching, and shorter firm bristles clean the bottom surface. The Detail Cleaner is a 2 inch long loop brush that is designed for cleaning threads inside the cap and crevices around the top. The Long Straw Brush is 8 inches long and thoroughly cleans drinking straws up to 16 inches long. 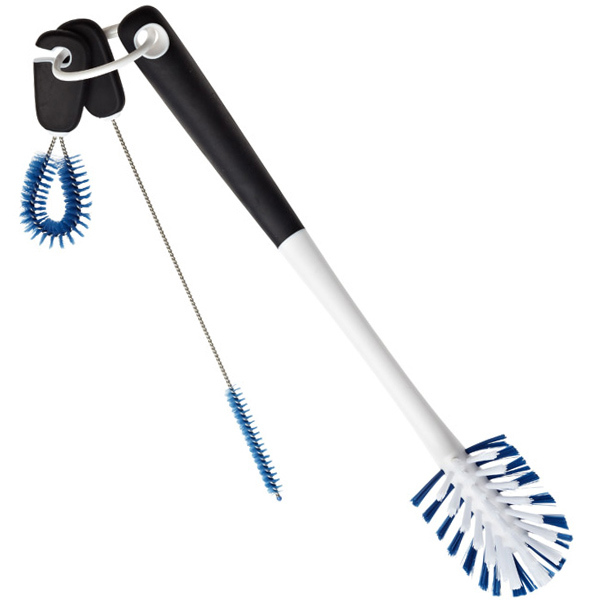 The durable nylon bristles keep their shape. All 3 brushes can be stored together on a convenient ring, and are designed to be easily removed. Long Bottle Brush measures: 13 inches long. Long Straw Brush measures: 8 inches long. Detail Cleaner Brush measures: 2 inches long.